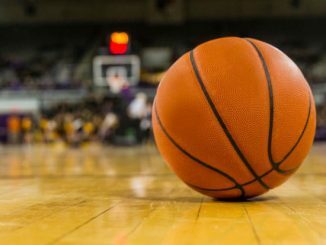 On Monday night, the Kansas State Wildcats will go on the road to take on the TCU Horned Frogs in a Big 12 matchup. Kansas State is ranked 16 with a 22-7 record and is in 2nd place in the Big 12. TCU comes in with an 18-11 record and is in 7th place in the Big 12. Kansas State is coming off a 66-60 win over Baylor on Saturday. Dean Wade led the way for the Wildcats, scoring 20 points on 9 of 15 shooting and grabbed 4 rebounds. Kamau Stokes chipped in 16 points on 6 of 12 shooting to go along with 4 rebounds and a team-high 5 assists. Xavier Sneed scored 14 points on 4 of 7 shooting to go with 4 boards. Barry Brown Jr. added 10 points on just 2 of 10 shooting but led the team in rebounds with 7 and added 4 assists. TCU is coming off an 81-66 loss to Texas Tech on Saturday. TCU never really had a shot in this one as they trailed by 18 points at halftime. JD Miller led the way for the Horned Frogs in this one as he scored 18 points on 6 of 10 shooting to go along with 8 rebounds and 2 assists. Alex Robinson tallied 17 points on 7 0f 17 shooting and led the team in assists with 6. Kouat Noi was the only other Horned Frog in double figures with 15 o=points on 6 of 17 shooting. Kevin Samuel was the leading rebounder with 9 to go along with 9 points. Kansas State is led by Barry Brown Jr., who is averaging 15.1 points per game. Dean Wade is averaging double digits with 13.2 a game and is shooting 45.7% from 3-point range. Wade also leads the team in rebounding with 6.2 a game. Xavier Sneed adds 10.4 points and 545 rebounds a game. Kamau Stokes also chips in 10.4 a game and is the leading assister with 3.4 per contest. Kansas State has been getting it done on the defensive end, holding opponents to 59.5 a game. The offense has struggled, scoring just 65.9 a game and are shooting a poor 43.3% from the field. Kansas State is 6-5 on the road this season. TCU is led by Kouat Noi, who is averaging 15.1 points per game and 5.1 rebounds a game. He is followed by Desmond Bane, who is scoring 14.9 per contest and is grabbing 5.6 rebounds a game. Point Guard Alex Robinson chips in 13.2 a game and is the leading assister with 7 each game. JD Miller is the only other Horned Frog averaging double figures with 11.5 a game. Kevin Samuel leads the team in rebounding with 7 per game. TCU is putting up 75.5 points per game on 45.6% shooting but are allowing opponents to score 70.9 points a game. TCU is 12-4 at home this season. Kansas St comes in at -1. 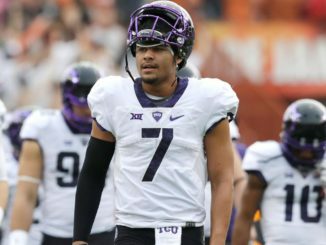 Kansas State has been ranked almost the entire season while TCU has struggled mightily. 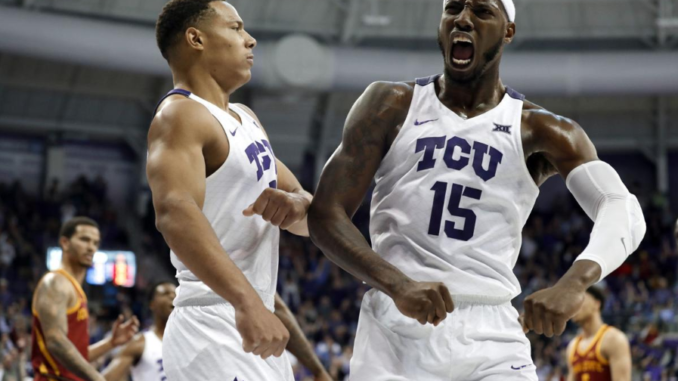 TCU desperately needs this game to bolster their tournament resume, but Kansas State is looking to get up to a 3 seed or higher in the tournament. I think the Wildcat defense will be the story in this one as they will shut down the Horned Frog offense. The Wildcats are extremely experienced and will not be rattled by the road environment. Take Kansas St -1.